An owl is always convenient, especially for its wisdom! 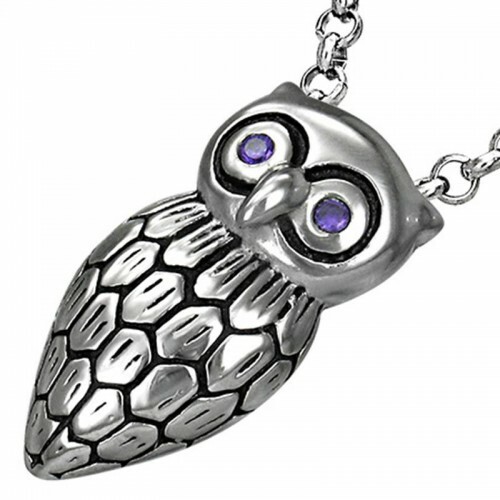 This is made of steel, with purple and faceted crystal eyes. The chain is also made of steel. Dimensions: of the owl: 2,6 cm x 1,5. 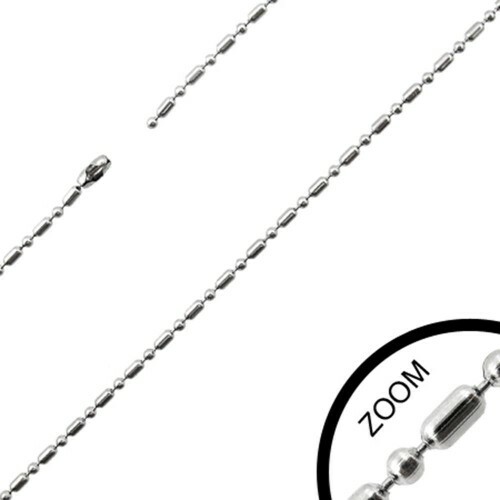 The chain is about 50 cm long.